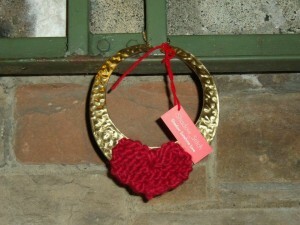 Gilding the City yarnbomb mashup! A little while ago yarn bomber Shado Stitch did a call out for suggestions for their current yarnbombing project. I got in contact with them and told them about Gilding The City and explained the idea behind it. I’m SO thrilled that Gilding the City has inspired another artist to create something and so excited about the end product! I love how the necklace is still totally intact too, so anyone who finds it can come along, take it away and wear it. It’s gotten me thinking about how I make the Gilds and how I’d like them to be able to be reused by the people that find them. I encourage you to go see more of Shado Stitch’s work, you can find them on blogger, twitter and Facebook. Next post: The New Games Movement and Life. Be In It.